£45 for a full day of hoop workshops and performances for all levels of hooper, raising funds for Martin House Children’s Hospice. Take your hooping to the next level at this relaxed, friendly hoop convention. Once again I have curated for your hooping pleasure, three of the UK’s finest, most sequin covered hoop teachers (plus me!). 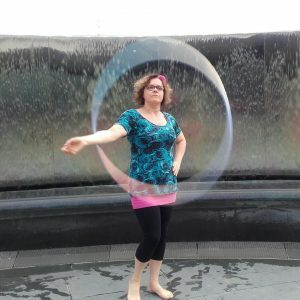 To ensure this event caters for both those who are fairly new to off body hooping and those who are super experienced, there will be two options for the first workshop of the day. For those new to off body hooping and those still building up their vocabulary of tricks. Hooping can look great with just a few very basic skills and an unworried face. Part one: horizontal tricks and flow. Changing levels, keeping moving and very easy basics such as hip breaks, cauldrons and helicopters. This workshop aims to show you that with very little hooping knowledge you can look pretty damn cool. Starting from scratch with upwards and downwards escalators we’ll look at ways in and ways out and a few of the endless escalator variations. Then we’ll combine them with the horizontal skills we learnt earlier. This workshop would work best with a lightweight hoop such as a polypro or a witzig which you can fit your body through. I am average height and use a 36” hoop but if you are smaller you would be fine with anything from 32” upwards. I will have a big heap of hoops for you to borrow so don’t worry if you don’t have one, and Glasgow Hula Hoops will be bringing their pop up hoop shop if you fall in love with off body hooping and want to buy one to take home. Jen Parry is a hula hoop and aerial dance teacher from York who lives in an old church so she can have a trapeze in her living room. She started hooping the day after she saw Professor Vanessa’s Wonder Show at the Roundhouse in 2012. Her speciality is people who say they can’t and she won’t give up till they bloody well can. The thrill of making people fitter, happier and more self confident is what fuels her teaching. See Ying will teach different material in this workshop to her previous workshops at UK conventions this year. She will introduce the theory behind wall plane twins and then teach patterns and combinations. We will learn how to move dynamically whilst doing wall plane twins, and how to connect the moves together and incorporate them into your existing twins flow. You do not need to have previous experience of twins to do this workshop, but it would help if you have some experience of moving two hoops at the same time. Everything will be explained from the basics up, but it would be helpful if you already know how to do a basic isolation and horizontal linear isolation. Please bring 2 x medium to small lightweight hoops. We will have spares to borrow so don’t worry if you don’t have any twin hoops. 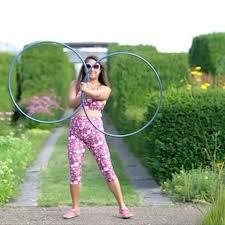 See Ying (HoopSpirit) discovered hooping in the summer of 2010 when looking for an inexpensive way to lose weight. She began with a heavy 1kg 40” hoop, but quickly discovered the exciting world of hoopdance and hoop tricks. Shas travelled the world, attending workshops and countless hoop conventions and won a “Perfect Attendance Award” Revolvie for attending the most hoop events in 2013. See Ying is also well known for her photography which won her a Hoopie award for “Photo of the Year” in 2015. See Ying has always been there throughout my years of attending hoop conventions with her outrageous costumes, big hugs and friendly smile and I am delighted that she has now started her hoop teaching journey as I feel we all have a lot to learn from this incredible lady. A fun and interactive workshop in which Kat looks at taking moves old and new and linking them together in groups of three to make something wonderful. Then take these combos and see how your favourite moves can easily be slotted in to show your own hooping personality. Given the creative performances of Sirens of Spin, I suspect Kat will fill us all with plenty of new and sassy ideas. Kat Borrowdale fell in love with hula hooping in July 2009 at the first ever UK Hoop Gathering. 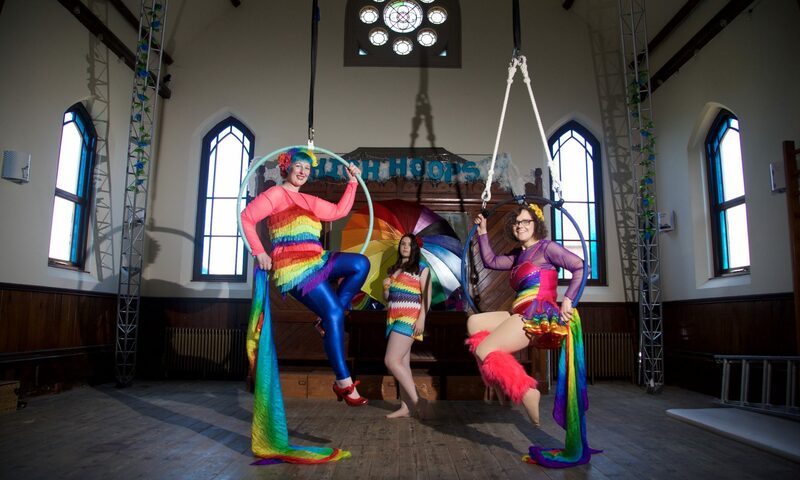 She runs circus company Glasgow Hula Hoop and is the founding member of performance troupe Sirens of Spin. She is creative and characterful in her performances, especially when balancing things on her face. Kat has led hula hoop workshops and performed around the world. You will be smitten by Kat as soon as you meet her. Her warm personality, irresistible sense of humour and soothing tones always make me feel relaxed and able to achieve anything she teaches me and I am sure you will all feel the same. Kay has been hooping since 2010 and has taught around the world since 2011. She also has her own clothing line Unicorn Hooper which launched in 2017. Growing up struggling with Dyslexia and Dyspraxia Kay found different ways around her coordination and learning issues which hugely influenced her teaching style, breaking down tricks in the simplest ways so anyone can understand and grasp them. A finalist in the first ever Hooping Idol, Kay is known for her foot hooping, twins, flow and her award winning Hoop burlesque performances. It is always a pleasure to attend one of Kay’s workshops as I know I will leave with tricks and ideas I will actually use, and a smile on my face after being in the company of such a genuinely lovely, green haired lady.